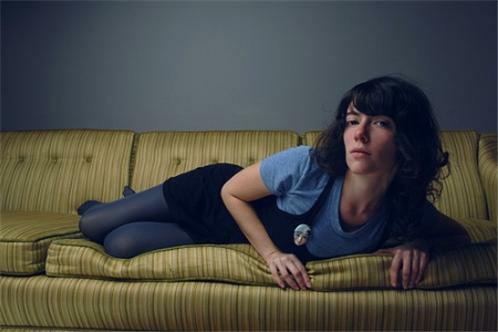 Natalie Prass is the kind of artist Spacebomb was created for: a songwriter's songwriter, and performer's performer, blessed with a golden voice and universal appeal: a singer who understands the vision, and brings an undeniable talent to the process. She's a joy for any listener to discover: a lover and a fighter and old-soul trader in genuine energy, aiming straight for the heart. Prass turns a sly eye to the pageantry of emotion, the drama of love and the mysteries of everyday life with a disarming mixture of sincerity and cosmic insolence, unapologetically romantic, spinning golden threads of lyric and melody, each inflection and melisma planned and considered, each word tailored for meaning and effect: the pop gesture as art form. 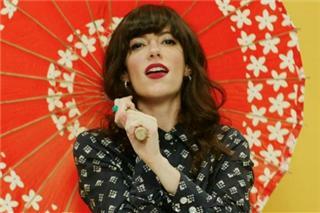 She delivers it all with carefree charm and nearly divine intuition. Born in Cleveland, in the heart of the 1980s, Prass entered the teenage slipstream back on the east coast, past the haunted houses, surf shops, and burger joints of Virginia Beach, a mid-tier, rough-around-the-edges resort town. There is an inevitability to every biography, a myriad of strange narrative palm lines that twist and intersect, and she followed hers bravely to a seam of alternative beach culture, living close to the Atlantic Ocean but studying a less bronzed way of life.